Georgia Ann Thompson Broadwick (18 April 1893-1978) was an American pioneering parachutist. She was nicknamed 'Tiny', as she weighed only 85 pounds (39 kg) and was 5 feet (1.5 m) tall. At the age of 15 she saw Charles Broadwick's World Famous Aeronauts parachute from a hot air balloon and decided to join the travelling troupe. She later became Broadwick's adopted daughter.Although she would eventually make her jumps from an airplane, in her earlier career she was jumping from balloons. 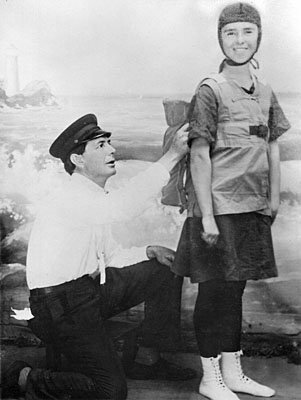 Billed as "the doll girl," Tiny began performing aerial skydives and stunts while wearing a "life preserver" designed by her adopted father. On December 28, 1908, Tiny made her very first jump out of a hot air balloon. The skydiving family travelled around and performed at fairs, carnivals, and parks. The appeal of the Broadwick Flying troupe, according to Tiny, was that "it was a very neat and fast act." 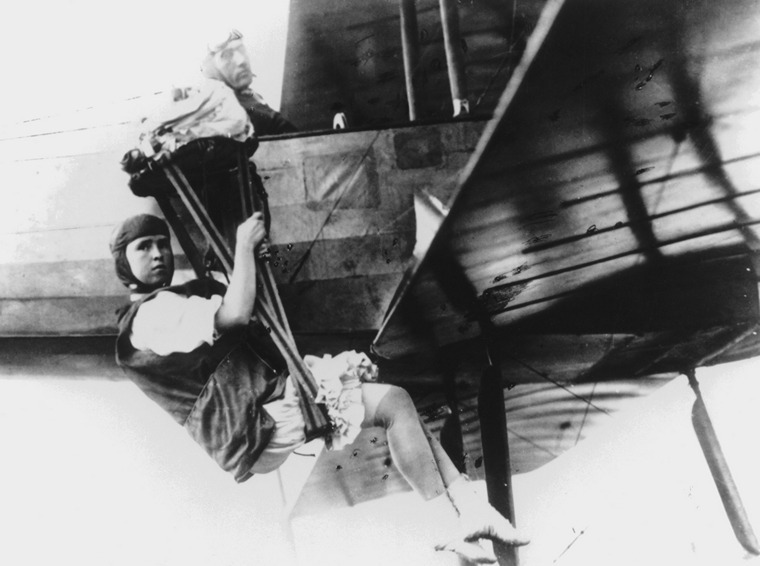 Among her many other achievements, she was the first woman to parachute from an airplane, which she accomplished on June 21, 1913, over Los Angeles, with aviator Glenn L. Martin as the pilot. These early jumps included a well-publicized jump on January 9, 1914, from a plane built and piloted by Martin, 1,000 feet over Griffith Park in Los Angeles, California. She was also the first woman to parachute into water. In 1914, she demonstrated parachutes to the U.S. Army, which at the time had a small, hazard-prone fleet of aircraft. The Army, reluctant at first to adopt the parachute, watched as Tiny dropped from the sky. On one of her demonstration jumps, the static line became entangled in the tail assembly of the aircraft, so for her next jump she cut off the static line and deployed her chute manually, thus becoming the first person to jump free-fall. By the time of her retirement from jumping in 1922, she was said to have made over 1,100 jumps. 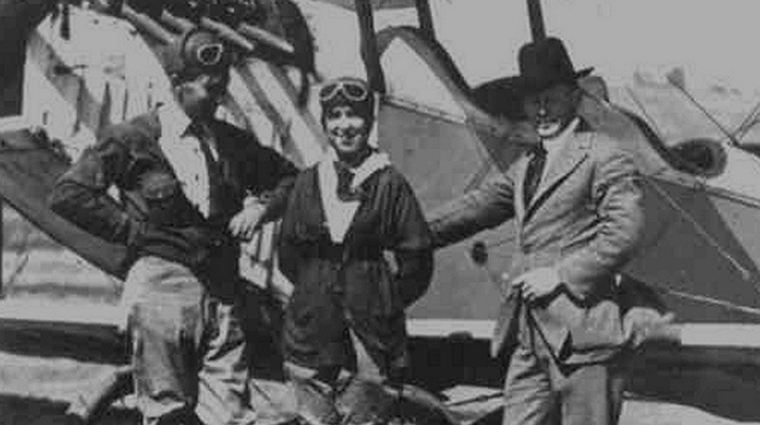 Although she was not a pilot, she was one of the few female members of the Early Birds of Aviation.